For the first time in the Centers for Disease Control and Prevention’s monitoring of the flu virus, every state in the United States is seeing extensive virus movement. The flu has been so widespread, that the agency has declared it an epidemic, and is urging those who have not been vaccinated to get the flu shot. There are four types of vaccinations: the Standard flu shot which is recommended for everyone 6 months and older, the Intradermal flu shot which is administered into the skin, rather than the muscle, the High-dose flu shot which is for those with a weaker immune system, and the Nasal spray vaccine which the CDC recommends against saying that it is less effective than receiving the shot. While getting the flu shot is a great preventative, there are other measures you can take to help protect your home from the virus. Because, as we know, once one family member gets it everyone else has it! Below are some precautions to take to help “flu-proof” your home. It is believed that flu germs are spread through droplets from your mouth and nose. Be sure to cover your mouth or nose with a tissue if you cough or sneeze, throw it away as soon as possible, and wash your hands. If you do not have a tissue handy, you should sneeze into your elbow. Try your best to instill these habits into your children, as well. Be sure to thoroughly wash your hands. Don’t just run them under hot water. You will need to use soap and scrub for at least 20 seconds, then rinse and dry your hands. Be sure to stock up on hand-sanitizers for when there isn’t a sink available. Did you know that flu germs linger on things you touch EVERY day? Gross, right? They can remain on dishcloths, floors, sinks, desks and much more! Clean and disinfect your home regularly to help avoid or get rid of flu virus germs. Beware of dust rags, dishrags, and mops, unless sanitized between being used as they can spread germs that you are aiming to kill. Also be diligent about the cleaners you are using. While many brands label themselves as “antibacterial”, not all may be as effective when it comes to disinfecting. Be sure to look for the words disinfect or sanitize on the label, this means the EPA has tested and approved its germ killing power. 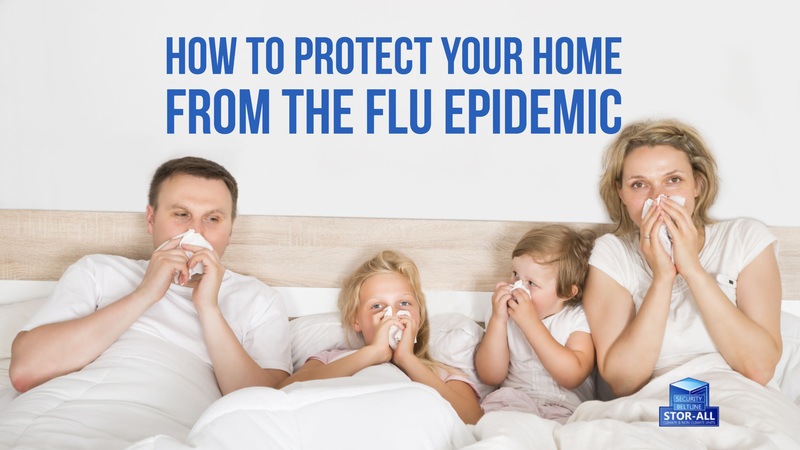 While the flu virus is spreading in full force, there are certain measures that can be taken to help prevent it from spreading in your home. If someone in your home ends up getting the virus, try to avoid them as much as possible and to keep your home sanitized to prevent others from catching it. If the roles are reversed, remember to avoid those in your house, wash your hands, and not to share blankets, cups, and other common household items. Once this Flu Epidemic is done make sure to store all of your extra blankets and cleaning supplies properly. If you are looking to get organized, and are in need of a little extra space we can help! We provide all types of solutions for home and business owners in Mobile, Alabama and the surrounding areas. 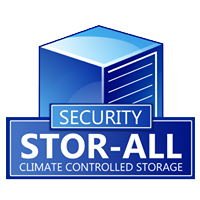 Call us today at 251-343-6999 and reserve your storage unit! Check out Beltline and Security on Facebook, or visit us online at www.StorAlls.com!